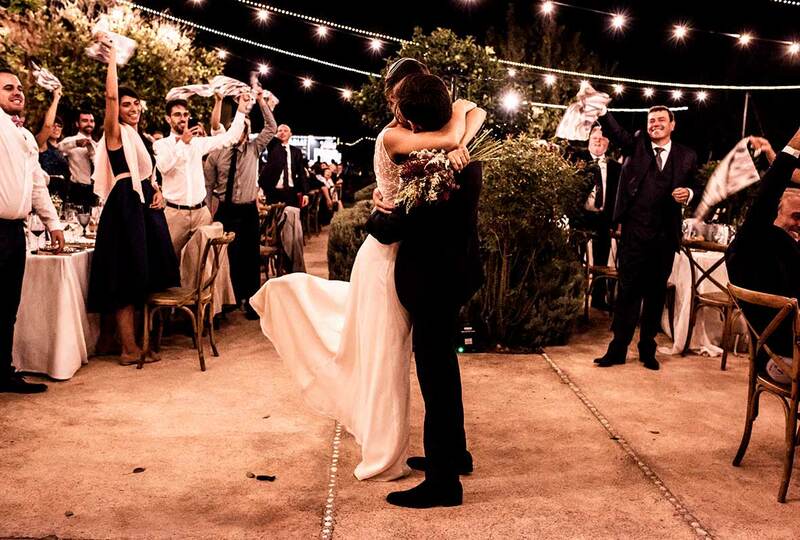 Photographer in Mallorca, wedding photographer in Mallorca. 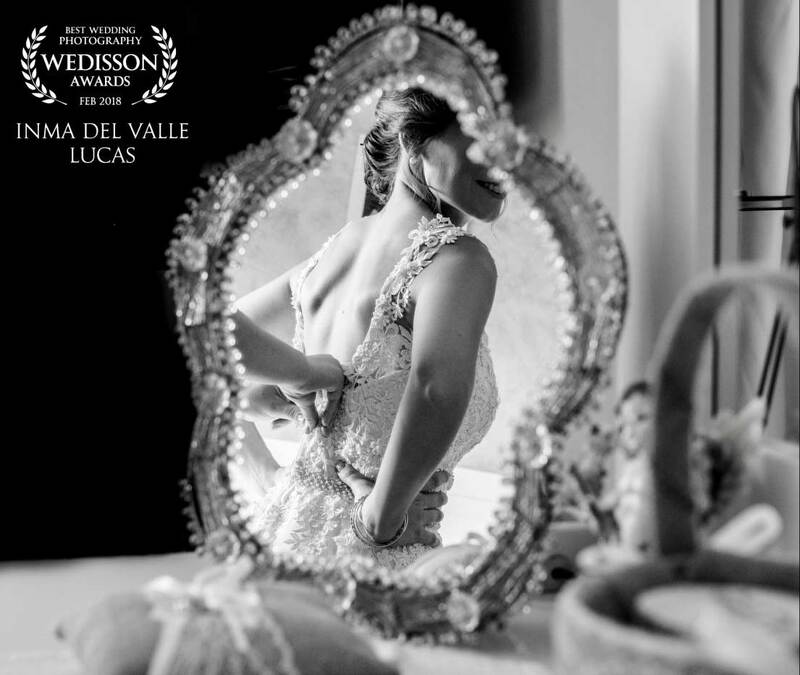 Inma del Valle, selected by five international committees of wedding photographers and the only Spanish photographer awarded at the international Wedisson Awards 2018. 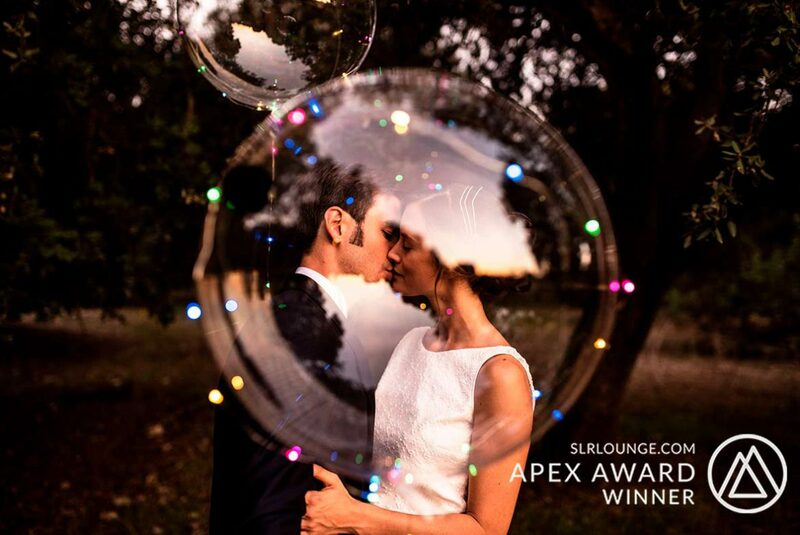 Winner at the Apex Awards 2018. Firstly, here you will not see photos, you will live an experience. As a photographer, you are a bridge between that day’s emotions and memories. 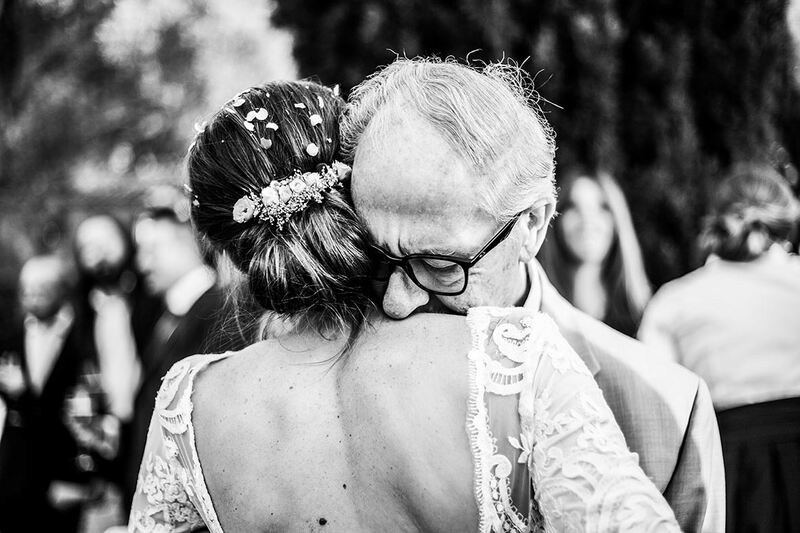 When you work in the emotional and in the sensorial area, photography will be the most important bridge between the two. When we see those photos, we remember the moment, no matter where you are or how old you are. If you put your soul, you turn photography into an emotional experience. We treat the emotional component in photography as a condiment. You add joy, passion, creativity, you add nostalgia. If you are able to move people you are achieving something more. It’s not just a photo. It’s about something else. If I were to get married, what would I want to stay with on my wedding day? The first thing I’d like to do is to live it again, because it’s gone by very quickly and I haven’t noticed a lot of things. I want to reflect what I have felt, those moments with my partner where we looked at each other and nothing else existed. I want to keep the emotion of seeing her/him on the altar while I walk over there. The joy of the children as they carry the rings or as they dance through their first wedding. I want there to be music in my photographs, LIFE. Everything that I dreamed and that became a reality that day. 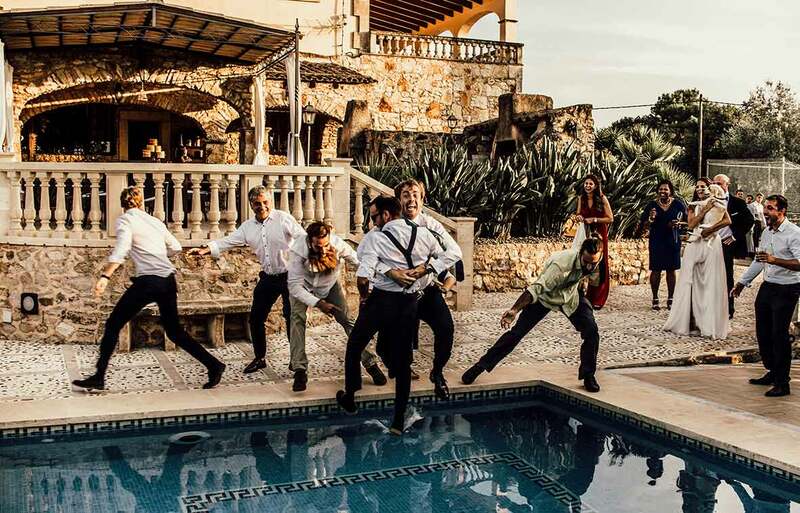 Which wedding photographer would you choose in Mallorca? I would choose a kind, cheerful, observant, sensitive and detailed person. Someone who believes in love, who has a passion for what they do, someone in whom I have the confidence that they are going to get the best out of me without overwhelming me. A person who knows how to do well in any circumstance. To be attentive to any surprise and give me good chemistry. Someone who can see beyond a pretty face or a beautiful place to stand with my partner and take four pictures. I want the person who best reflects that day and doesn’t leave an important moment unnoticed. That knows how to capture the essence. What do you expect from the result? 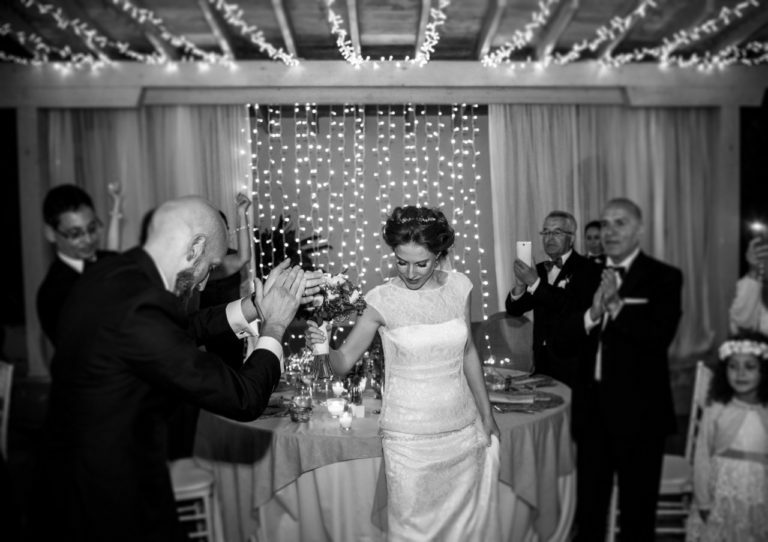 I don’t want to see photos after my wedding, I want to live an experience by remembering it. I want each one of them to transport me to that place and to the state I was in. Like when you see a painting in the Prado and you start dreaming. 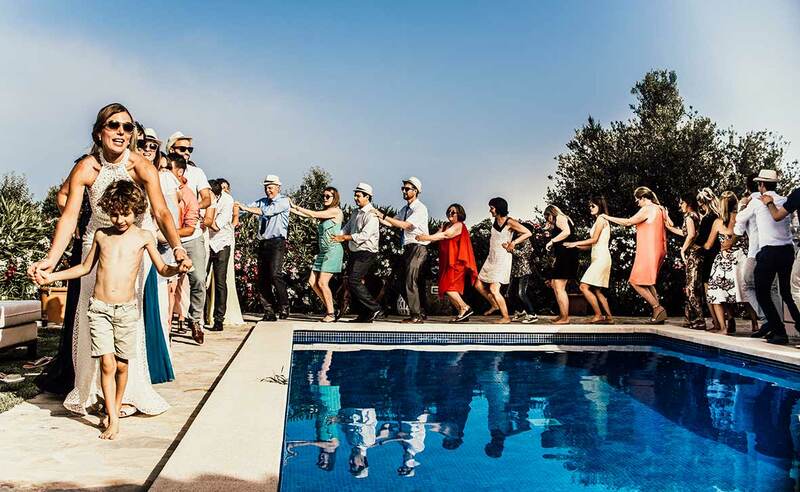 I want to look good in the photos and to see how much fun my guests have had. And what will you live if you choose me as a photographer? If something differentiates me from the rest, it’s not only the experience you’ll have later, but the one I’ll make you live that day. I will make you calm, have fun from minute zero, help you deal with unexpected moments and give you the assurance that everything will be fine. I’ll just make you feel and I will get excited with you. Why? Because to capture it you have to feel it. I will approach your relatives and friends in such a way that they don’t see me as an intruder, but as someone familiar. I’m sure you’ll remember me with affection and it’s very likely that we’ll keep talking over the years. For me this is fundamental. I would like us to choose each other. Just as you feel whether you like me or not, I have to feel just as comfortable with you. To know that we are looking for the same thing. 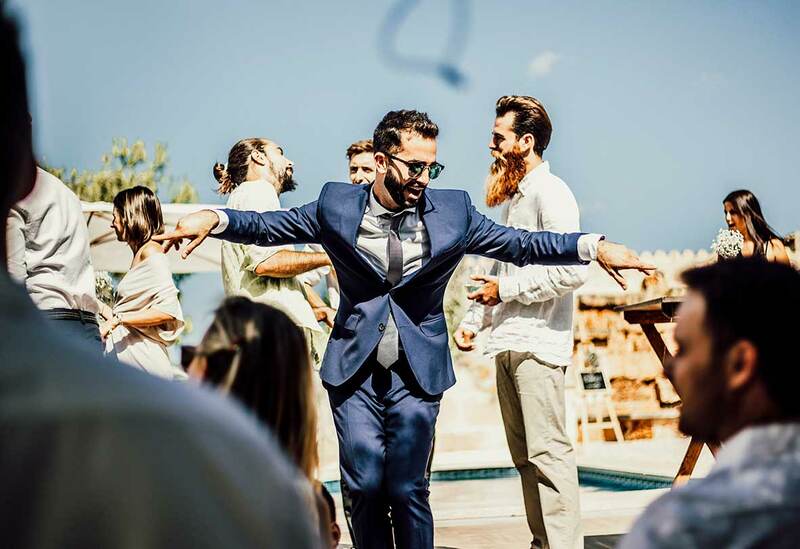 I am 100% involved in every wedding. I’m sure that if you’ve come this far, you are that person. 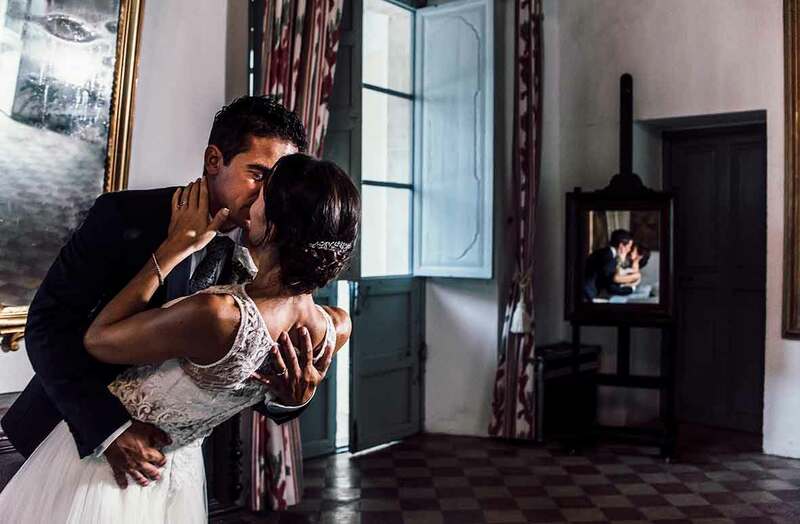 One of the parts that should be given more attention, without a doubt, is the task of looking for a photographer in Mallorca. We were very lucky to be able to count on the best possible professional(s). Both Inma and Blanca accompanied us during a pre-wedding and also during the long day of celebration. Very original in the choice of motifs and decorations, and with an integrating and harmonious soul. The photos are excellent. 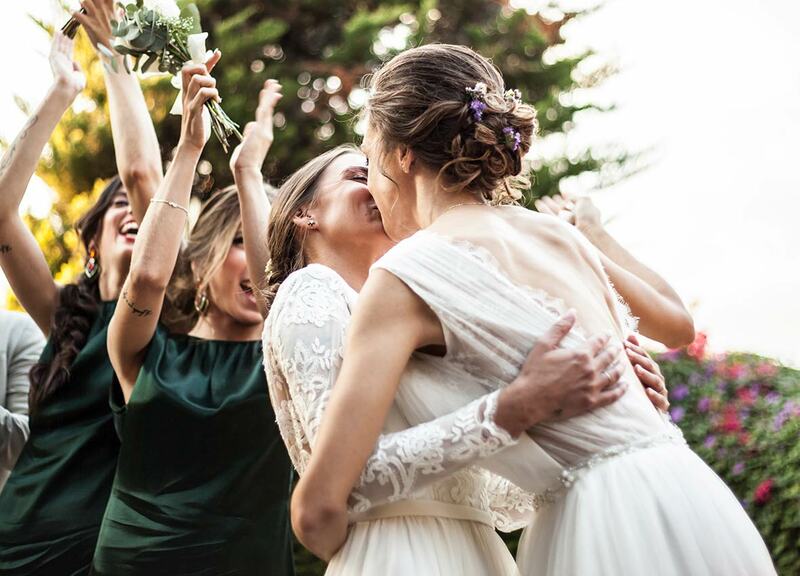 Not just a wedding is photographed, but moments and emotions. Very close and gentle treatment. We felt great familiarity and tenderness on your part. With Inma and Blanca we were 100% right. 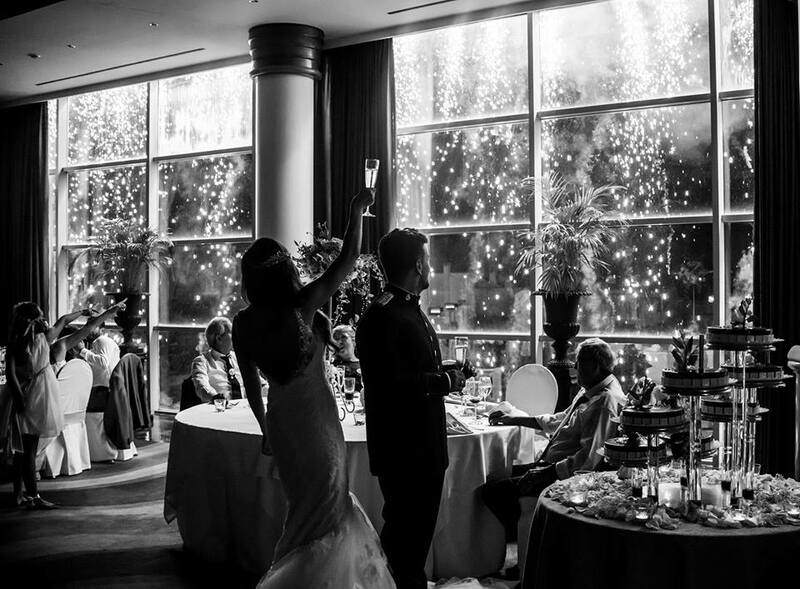 We receive dozens of congratulations regarding the photographer(s) and contact requests to hire their services, which speaks for itself of the quality and excellence of this (these) professional (s). We have gained, apart from a professional contact that we will use for photo shoots, a friendship that goes to the bottom of our hearts, for the sincerity and tenderness that we appreciate. Fantastic everything: rating of 10, both separately and together. 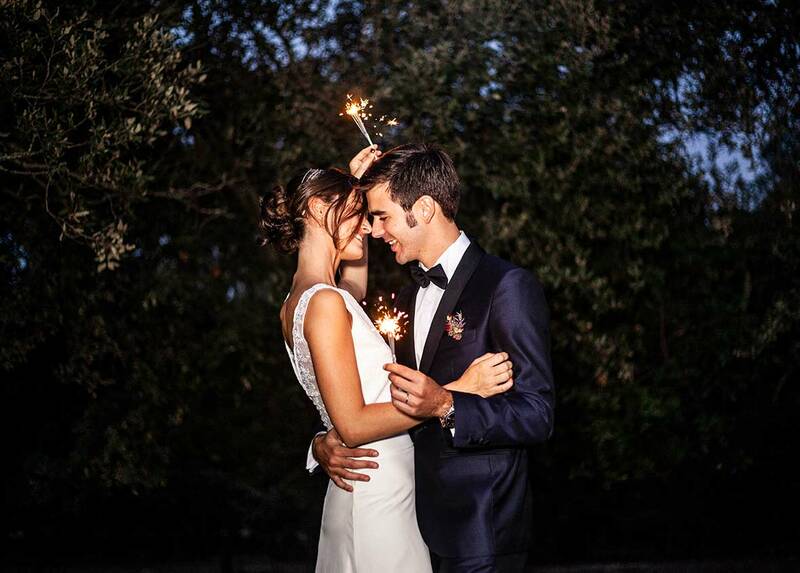 We will be eternally grateful to you for making our special day unforgettable. Thank you! When gratitude is so absolute words are superfluous. 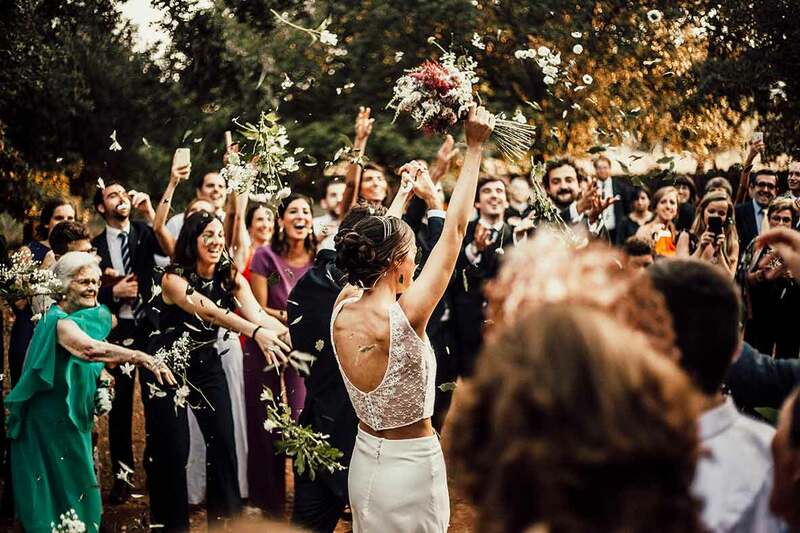 Today, looking back almost a week, we are amazed and excited to remember the happiness and naturalness that you managed to capture in images through your cameras. You knew how to win second by second our trust without hardly knowing us, minute by minute we created a bond and hour after hour we established the perfect symbiosis to make a special day something wonderful where we could be ourselves. We kept the best of you, your professionalism, competence and know-how. Your ability to capture the details and spontaneous moments that happen in thousandths of a second and never happen again. Above all we remain with your sympathy, freshness, simplicity and confidence that you gave us the day of our wedding. Nor do we forget to thank you for the complicity and the fantastic connection you maintained with each and every one of the guests to the point of being like family. So I can only say that when gratitude is so absolute, words are superfluous. 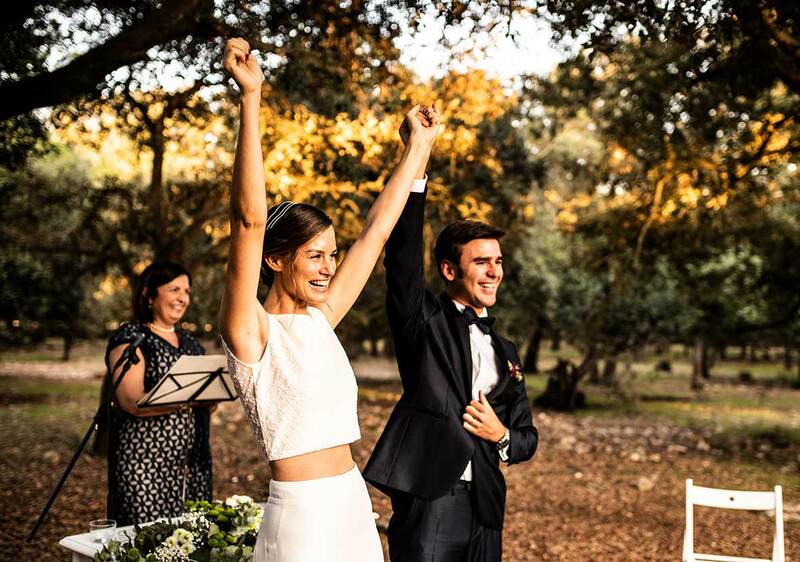 Don’t get married without Inma at your wedding! Bermoonlovesociety was created on 25.08.18, with Inma’s magic making us look straight ahead and with illusion. We asked her not to think of typical photos, but those that we looked at hundreds of times and that we will still see something special in them. Don’t put limits on anything. Think outside the box and enjoy taking pictures. Look through us that secret part of the illusion, and sensations, laughter, emotions, but always from that other point of view and beyond. And they did it. They made us laugh, they conquered the groom. He’s one of those who didn’t want photos, but Inma and Blanca managed to make us all have fun. Professionalism without limits, controlling the rhythm of everything and everyone, and making the dream come true and beyond. 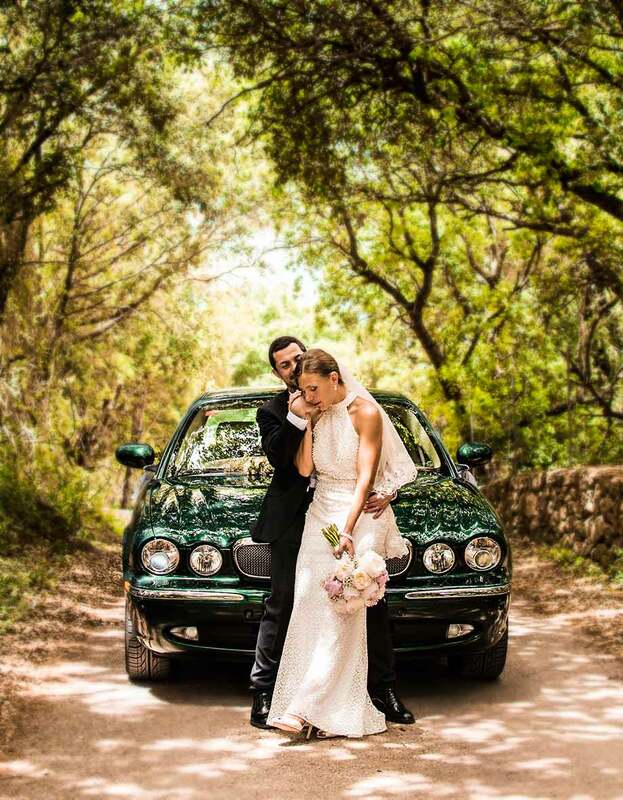 That’s why don’t get married if you don’t have Inma as your wedding photographer. Without hesitation, don’t think about it for a second or look for anyone else. Inma contributes something more than others do not, and I have no doubt about that. 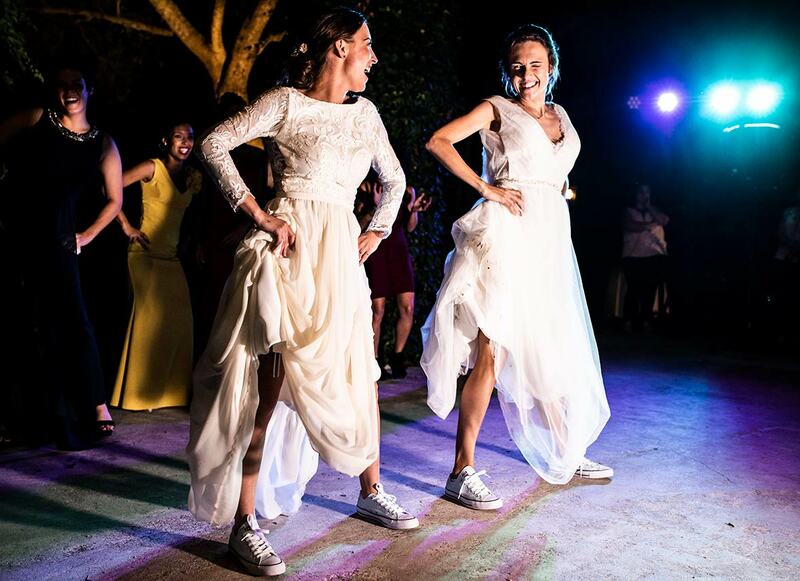 Thank you Inma and Blanca, for being with us that day and accept the challenge and jump into our dreams. Finally, with their charm they conquered the groom, relatives and all the guests. As for the photos, we couldn’t be happier. 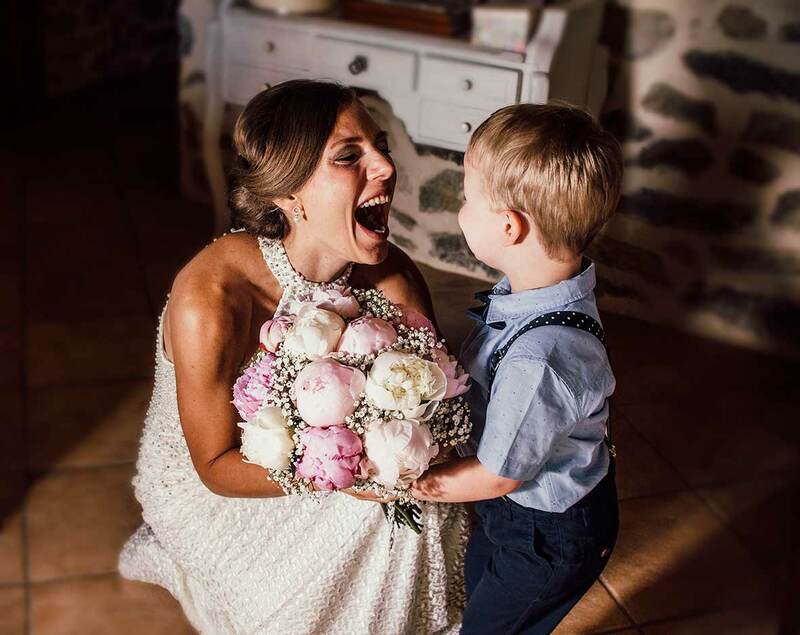 We have a precious memory of that day in the form of images that portray the most special moments and the feelings that accompany them. From the beginning we knew that we didn’t want an album of poses, but a more photojournalistic style, and that’s just what we have. We are very grateful to Inma and Blanca and we wish them the best of luck because they are excellent both personally and professionally. 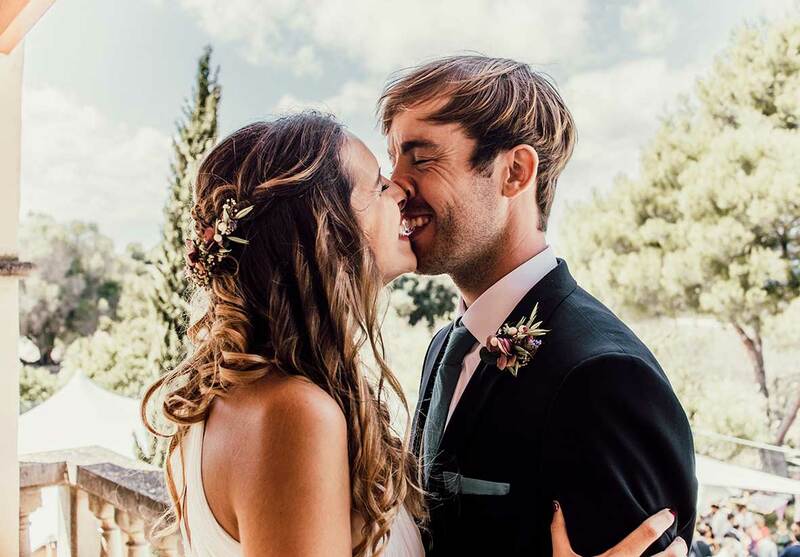 I think Inma is one of the people who has the privilege of saying that she enjoys doing her job as a photographer in Mallorca, and on top of that, what she manages to do is something wonderful. 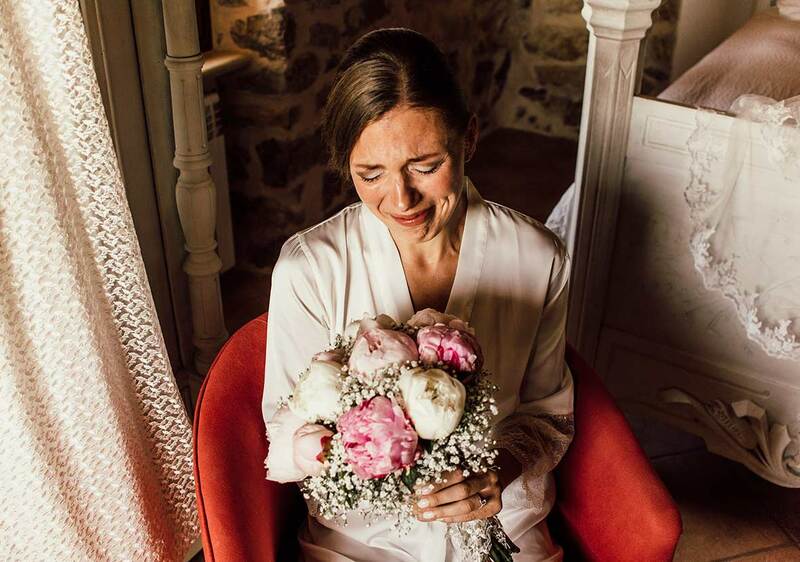 Manuel and I could not have chosen anyone better than her for our day, not only because of her naturalness, her joy and her great work, but also, at least to me, she made me feel that I had one more friend by my side, who helped and enjoyed as much or more than the guests. She is so open, so close and with that point of madness that it is impossible not to feel at ease next to her. Thanks to her we have one of the most beautiful memories we will have of that day in image format. And thanks to her all those memories will be unforgettable. She is great as a professional and great as a person. A thousand thanks to her and her partner Blanca. As I said to her, this will not be the first or the last. It is enough to see her photos to know that she is a spectacular photographer who captures, but in addition to the quality of her work the treatment she gives you is excellent. 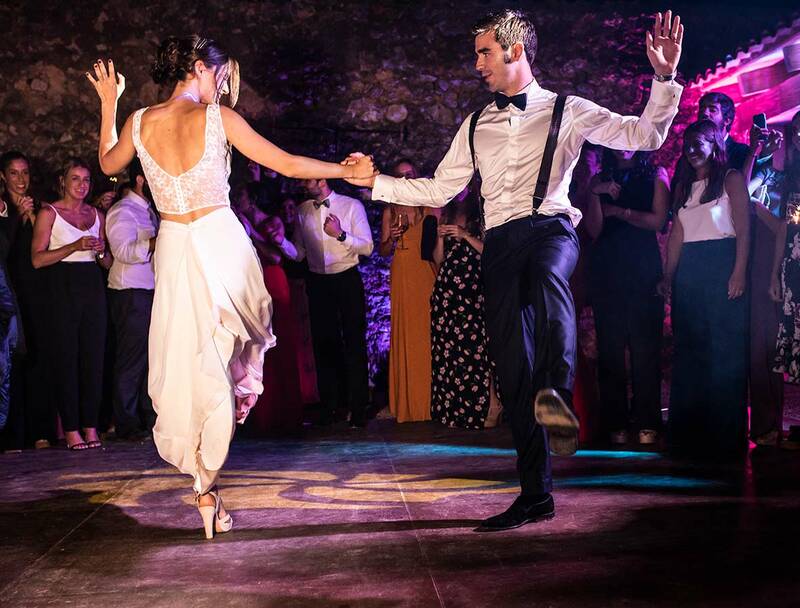 Immediately we took confidence and we got rid of the shame, we simply limited ourselves to enjoy our day to the maximum and she was in charge of immortalizing spectacular moments and giving us very original advice and ideas to give our “touch” to the reportage. The photos are spectacular. 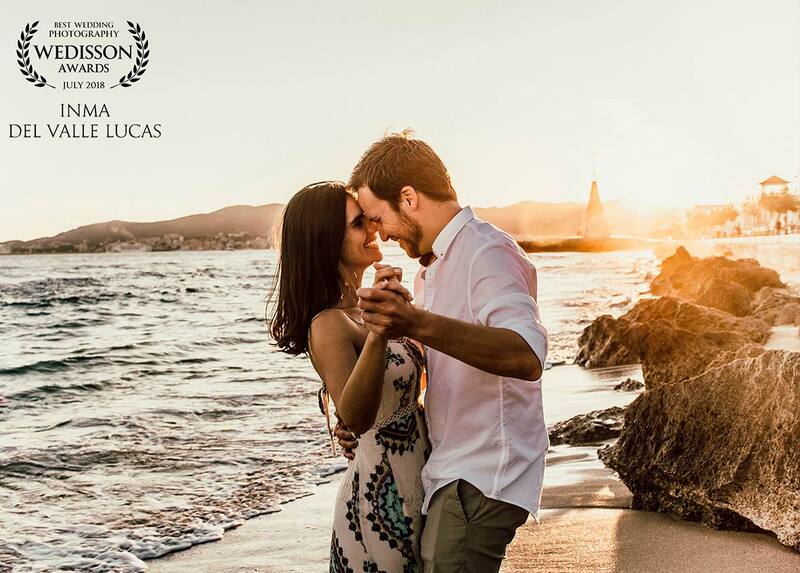 We are very happy to have shared this day with them and of course we recommend them to everyone! Thanks Inma and Blanca! Photographic coverage according to the selected collection: (Preparation of the bride and groom’s house, ceremony, photos of the couple, cocktail, banquet, first dance and up to one hour after the dance). All photos edited (between 500 and 1000 depending on the time of the event and number of guests). To clarify, Photographic coverage according to the selected collection (Preparation of the bride and groom’s house, ceremony, photos of the couple, cocktail, banquet, first dance and up to one hour after the dance). 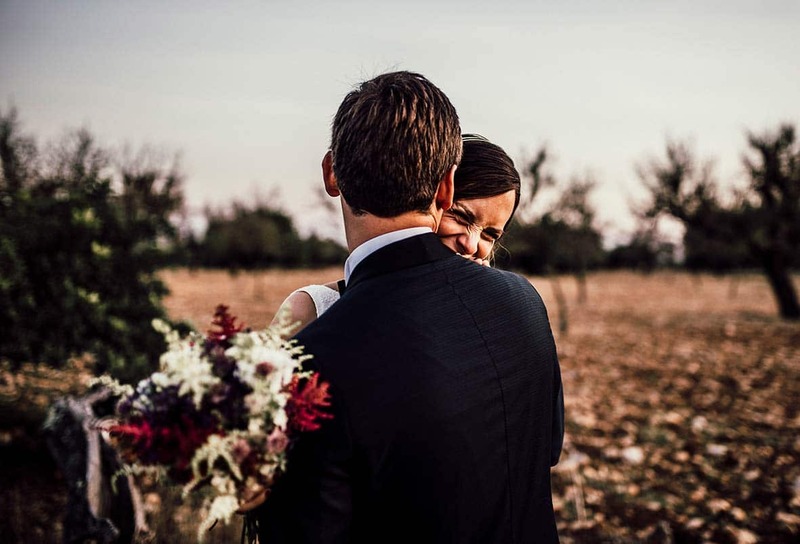 Firstly, as a photographer in Mallorca, what better way to get to know each other, discover your tastes and capture them in a more natural way. Without a doubt, a real opportunity to enjoy, probably more relaxed than ever. 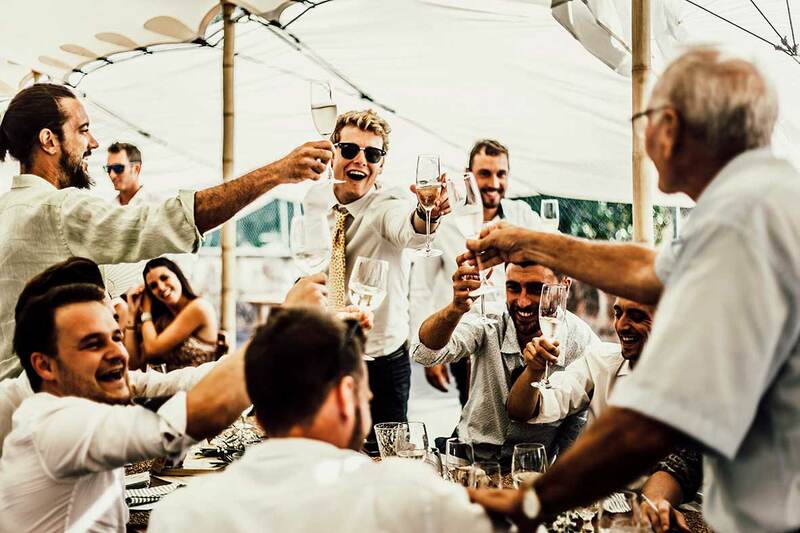 An ideal situation to show how much you love each other without worrying about anything but laughing and having a good time. Whether, it’s the absence of guests or nerves, everything will focus exclusively on you and your happiness. 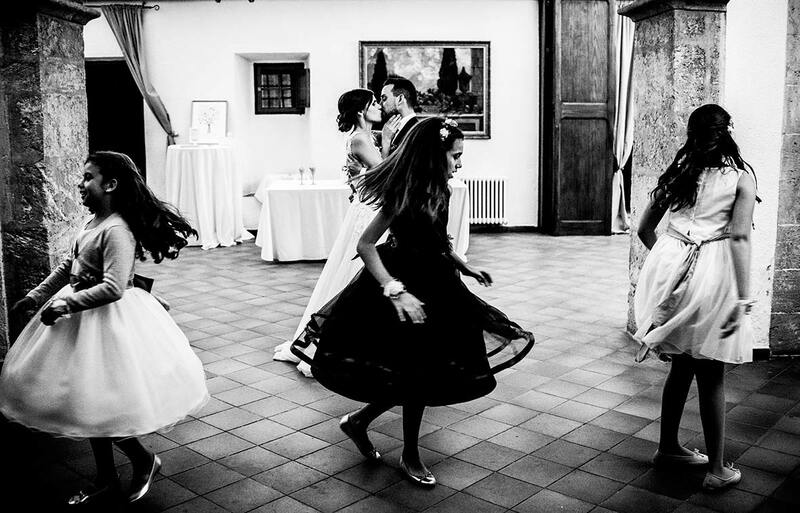 Otherwise, as a wedding photographer in Mallorca I recommend it to you as a first contact. In conclusion, duration of the pre-wedding from 2 to 3 hours. Another day in which to enjoy more with less stress. This time with the advantage that you will be able to choose the perfect location to do it. So, why not choose that place where it was impossible to celebrate the wedding, but that brought you nice memories? You will have the freedom to dive into the sea or climb a mountain. Any environment will be perfect. In conclusion, duration of the post-wedding from 2 to 3 hours. Maybe you want to escape and do a private ceremony, they are very fashionable. On the other hand, it is an opportunity to live together a precious experience. The images of that day will be what you can share with loved ones who have not been able to live it with you. Otherwise, you may require our services in the Peninsula, the Islands, Europe or other parts of the world. We look forward to giving you our best service in any of these destinations. We can transfer our professionalism to any other place hiring our services beforehand. Above all, bear in mind that the most important thing for us is to go unnoticed. We do not want at any time to detract that day from the real protagonists or bother you. In other words, Mallorca is a dream location for any photographer in the world. Thanks to the climate we will always be able to create beautiful scenarios of light and shadow. The enclaves where the ceremony takes place and the banquet, as a consequence, will provide us with infinite opportunities. 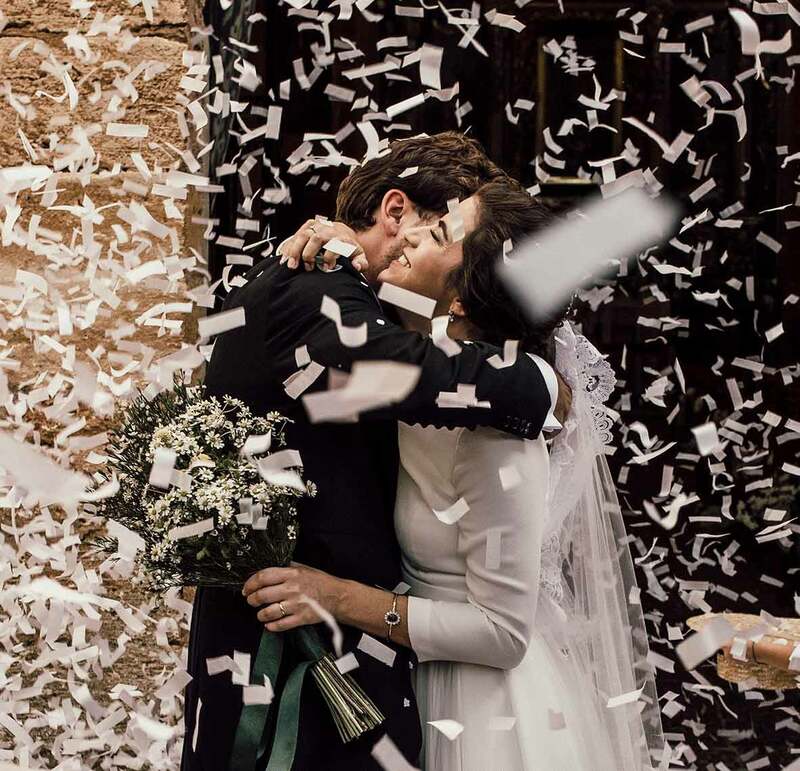 Most importantly, as a photographer in Mallorca, therefore, I will get unique and incomparable photos with which the bride and groom can remember this magical day. Finally, trust in the good know-how.